After being subjected to sustained criticism about the shoddy preparations for the Commonwealth Games, its organisers had something to cheer about today. 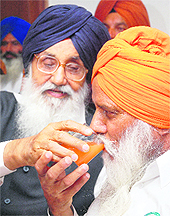 Punjab Chief Minister Parkash Singh Badal today pledged Rs 300 crore to farmers to make Bharatiya Kisan Union (Rajewal) President Balbir Singh Rajewal accept a glass of juice to end his five-day hunger strike in Mohali. In major development, India�s eastern neighbour Bangladesh has finally agreed to start the construction of a highway that will not only provide transit facilities, ensuring easy movement of goods, but also drastically shorten the circuitous route � crucial from the military point of view � between northeastern states and the port city of Kolkata. Reflecting the country�s growing economic prowess, India�s wealth generation has outpaced the global average by nearly four times. The individual wealth in India now stands at Rs 73 lakh crore and it is estimated to double over the next three years to touch Rs 144 lakh crore. 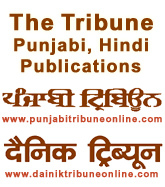 CHANDIGARH: Who will be the lucky few? Eminent Malayalam litterateur ONV Kurup and noted Urdu poet Akhlaq Khan Shahryar have been chosen for the Jnanpith Award for 2007 and 2008, respectively, for their contribution to literature. The Union Government today approved the second phase of the coastal security scheme that will be implemented from April 1 next year. The Queen asked ministers for a poverty handout to help heat her palaces but was rebuffed because they feared it would be a public relations disaster. Royal aides were told that the � 60m worth of energy-saving grants were aimed at families on low incomes and if the money was given to Buckingham Palace instead of housing associations or hospitals, it could lead to "adverse publicity" for the Queen and the government.